The Minerva 540mm Slimline Semi-Countertop Basin features contemporary styling with a practical design. Suitable for use with slimline depth semi-countertop bathroom furniture units with a minimum depth of 210mm. 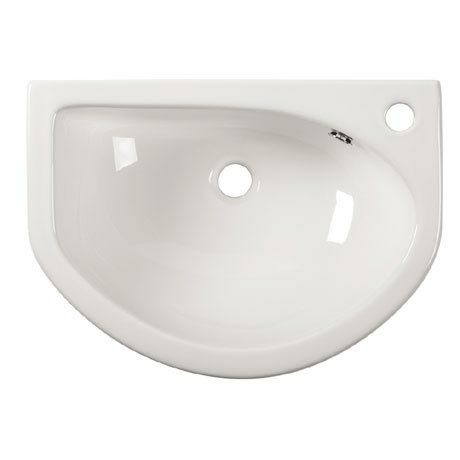 Manufactured from high grade ceramic, this stylish basin features a single right hand offset tap hole and integral overflow.